The first component project of the V2 equalizing battery bank charger came about to fill the need for a display. Sure I could've just used the regular old classic HD47780 character display but where's the fun (and learning experience) in that? 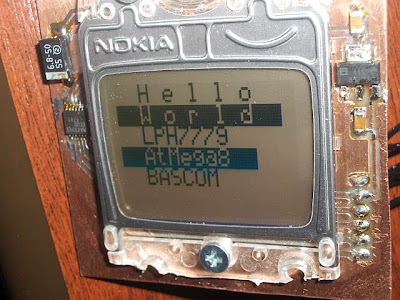 I did a nice project with the classic display-of-choice when I built the 1Wire interface for it, and years and years ago when I wrote a picture-display by custom characters thing, so I was already pretty well acquainted with it. 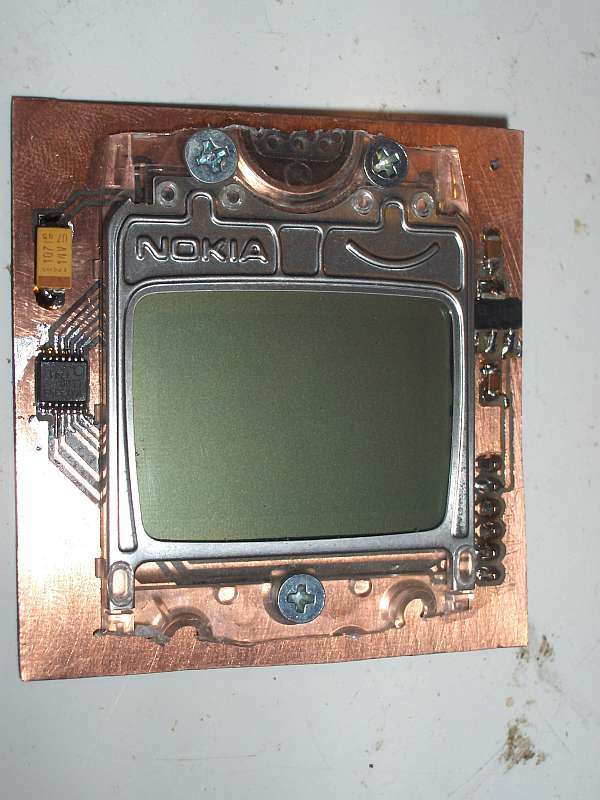 The Nokia display on the other hand has been on my mind for the past few years. I'm talking about the monochrome 3310 displays that were first salvaged from phones and interfaced with by hobbyists back in the days. 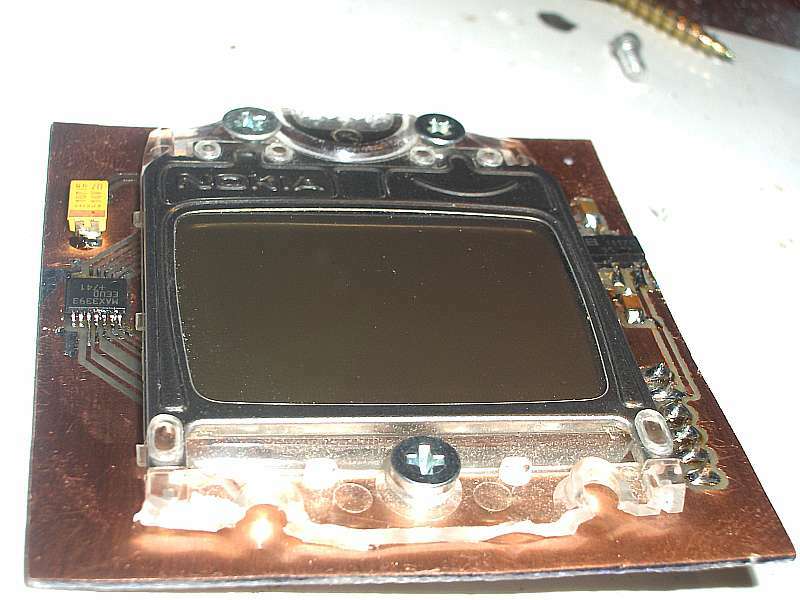 Salvaging and reusing a graphical LCD sounds like a pretty fun thing to do. 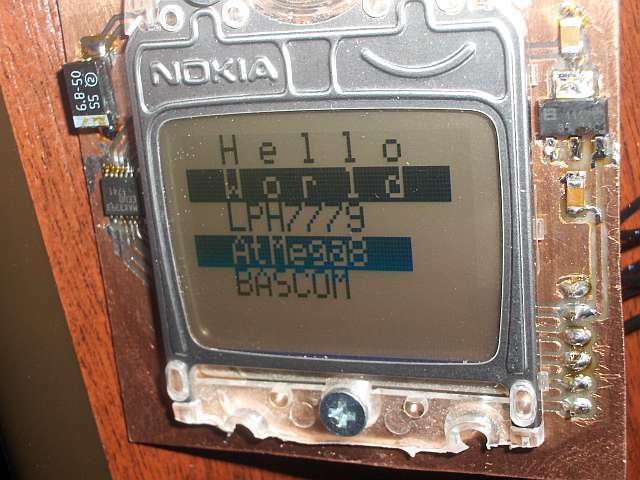 And so I bought a broken 3310 for 2EUR shipped. Can't beat that price buying a classic character display. already made an Eagle library for the latter solution, and since that seemed like the option for lazier people anyway I went with that. Since my target is going to be a 5-volt system I'll need a level shifter. I had a MAX3393 to do the job. It's really an effortless IC to work with if you don't mind the pin spacing. I've also added a salvaged LT1117 3.3volt LDO voltage regulator to generate the 3.3v for the display on-board. 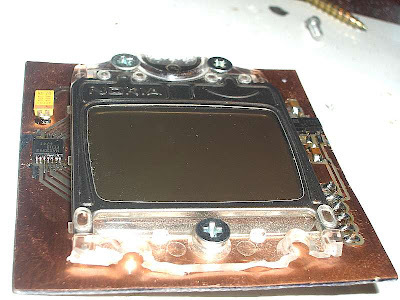 Don't mind the SMD tantalum capacitor in these images I tried several but concluded that the display is sort of picky about it, so it needs to be as specified 4.7uF or the display will be unstable. Actually the single problem with this board is the lack of back-light which is about the biggest annoyance on the completed V2 charger and I'm really hating myself for it. If I ever make another one of these boards I'll definitely add SMD LEDs behind the display. Do this if you use this PCB. You'll thank yourself later. I'd add a minimum of 4. The display does have great contrast and is easily readable in sunlight. But once it's behind a piece of Plexiglas and a thick front panel there will be shadow and It'll generally be a pain to read in less than full-on daylight conditions. I guess I should've realized sooner. Oh well.